Welcome to Man With Van Hire removal and clearance services. 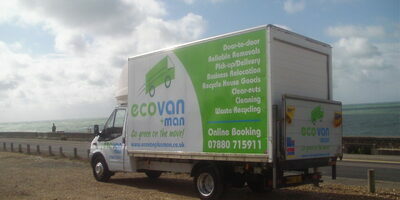 Man With Van Hire is a family-run removal company providing moving, relocation and clearance services across sussex, Kent, Hampshire and Surrey.I,m Dean and Our professional team have a 'can do' attitude and a strong reputation of providing friendly, efficient, low-cost moving services, business removals and home/office clearances. At Man with Van Hire, we pride ourselves on being small enough to care and big enough to cope. As a family run business we understand the ‘personal’ impact of moving and value keeping in touch with our customers from start to completion. We are an experienced removal company who pride ourselves with taking the pressure out of moving. Moving Home is recognised as one of the most stressful times and will often also mark a significant change in a person’s life – for example, pregnancy, move into supported housing and family bereavement. We have all the necessary skills to dismantle and reassemble household furniture and place them where you need. At Man With Van Hire, we have all the necessary equipment to move your precious belongings – securing them in place during transit with industry ties and blankets. Man With Van Hire provides clearance services and solutions. We approach all house clearances maximising recycling and reducing waste to landfill. Man With Van Hire Clearance Services operate across the region. Our Man With Van Hire Clearance services are flexible and tailoured to your needs - whether a garage tidy, spring clearout, loft clearance or a package of support for hoarding. We hold a Waste Clearance Licence and always aim to re-use through furniture re-use schemes, charitable donations or other upcycle options. Alternatively, we will sort, clear and recycle where possible to avoid landfil. A list of all recyclable items and more information can be found at www.recycling-guide.org.uk/. At Man With Van Hire Services we offer customers the options to 'go green on the move' through a carbon offsetting UK Tree Planting Scheme.